Augment your vehicle's passenger protection with a Travall Guard. 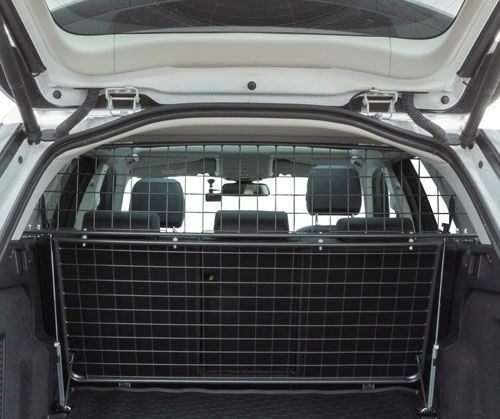 Keeps pets secure and acts as a barrier between passengers and loose cargo in the rear of the vehicle. Engineered to give you the perfect fit, you'll find these dog guards complementary to your vehicle's interior. They're free from the rattling, a common attribute of lower quality, universal dog/cargo guards. Constructed using your vehicle's interior specifications, these best selling universal dog/cargo guards are simple to install and to remove as needed.